Preschool A has been investigating ponds. 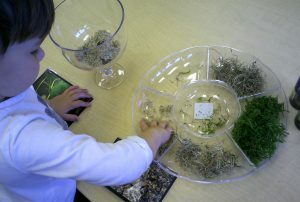 In order to put their findings into a tactical learning experience, the class recently created a pond terrarium using a clear vase, water and natural materials. 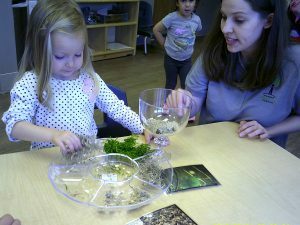 The children were provided pictures of underwater scenes and given the pond materials to create their own underwater scene. 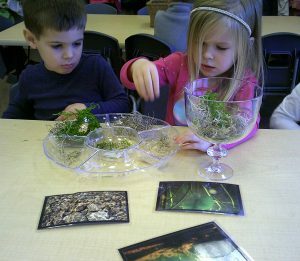 They loved the different textures, learning about pond life and the various kinds of moss. After they made their terrarium, they discussed what might be in the ponds they have seen near their homes and the big pond behind our school. The children are so excited to continue learning about the beauty of nature located in and around ponds throughout the Lowcountry.